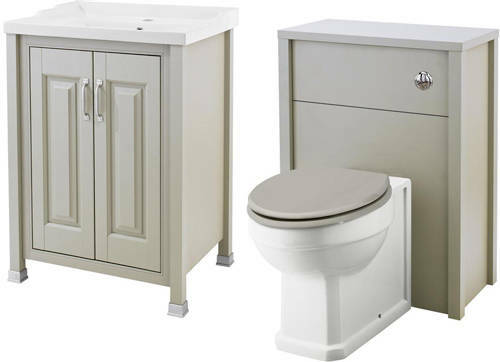 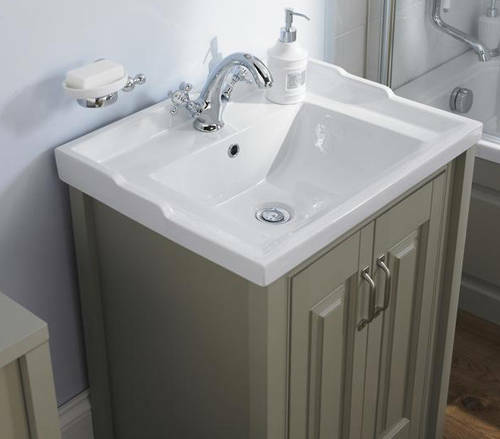 Old London Furniture > 600mm Vanity & 600mm WC Unit Pack (Stone Grey). 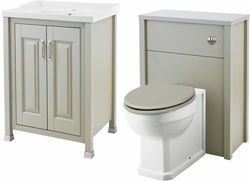 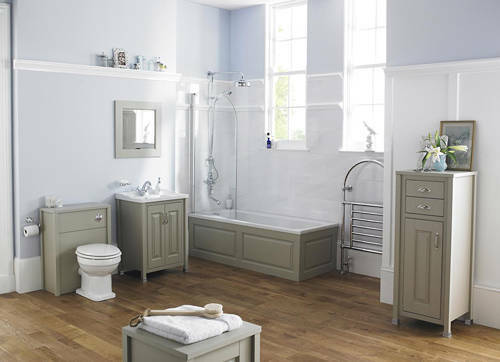 Old London traditional 600mm vanity unit with ceramic basin and 600mm WC unit (bathroom pack 1). 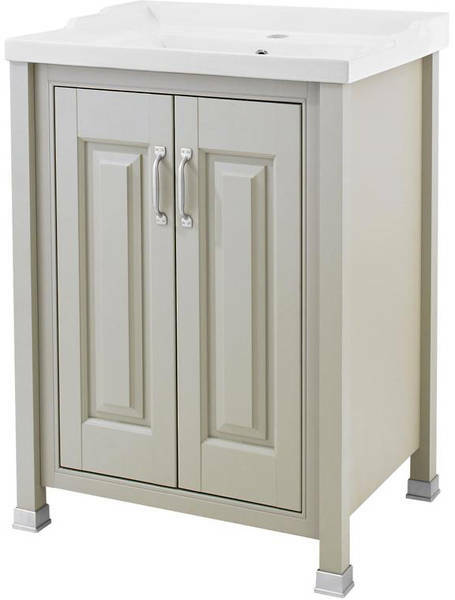 Allow nature into the most decadent of rooms in the home, with the warming tone and hue of this stone grey furniture. 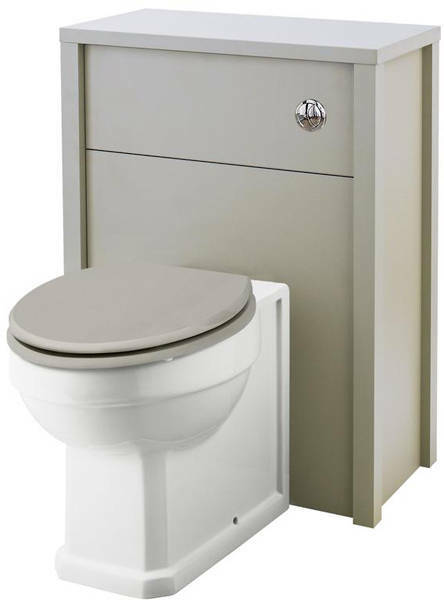 WC unit size: 595W x 785H x 303D mm.